The study aims to investigate the relationship between higher concentrations of amniotic fluid lactate and the diagnosis of labour dystocia. A study led by researchers from the University of Sydney aims to determine if there is a link between high levels of lactate in amniotic fluid and difficult labours which may end with a caesarean section. 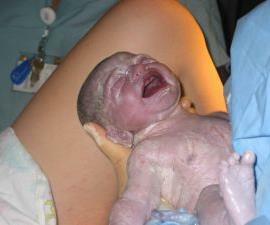 With as many as a 30 per cent of pregnant women in Australia experiencing a caesarean birth, lead investigator Sally Tracy, Professor of Midwifery at the Faculty of Nursing and Midwifery at the University of Sydney, says like any other muscle in our body, it appears that the female uterus produces lactic acid when it is tired. There is compelling evidence that a raised lactate level in the uterine muscle leads to inhibition of muscle contractions, resulting in poor or uncoordinated contractions and a lack of progress in labour or dysfunctional labour. By monitoring the amniotic fluid lactate levels during labour, it may be possible to determine which women are likely to experience a dysfunctional labour due to uterine muscle fatigue, Professor Tracy said. A study based at the Royal Hospital for Women in Randwick aims to investigate the relationship between higher concentrations of amniotic fluid lactate and the diagnosis of labour dystocia. The research will build on the pioneering work recently undertaken in this area in the UK and Sweden. While lack of progress in labour, or dystocia, is a common childbirth problem, the lack of a precise definition leads to considerable variation in clinical practice. "The research will be critical in determining if lactate can be used as a surrogate marker to improve the diagnosis and treatment of dystocia," Professor Tracy said. It will allow better clinical decisions to be made and add knowledge to our understanding of how labour progresses, as well as adding a new level of precision around when and how to intervene. "Most practitioners recognise and treat dystocia differently based on their own beliefs and experience without the certainty of a clear, consistent physiological marker to guide their decision-making," Professor Tracy said. The four-year research project, which was recently partially funded by the National Health and Medical Research Council, will involve collecting small samples of amniotic fluid and measuring the concentration of lactate at predefined time intervals during the labour process when amniotic fluid is naturally expelled. "Our research aims to determine the predictive value of amniotic fluid lactate concentration during labour with the decision to augment labour, and ascertain any confounders that influence lactate concentration in the amniotic fluid of the labouring women," Professor Tracy said. 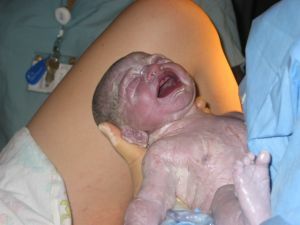 If an association can be proved between the concentration of amniotic fluid lactate excreted during labour and the level of exhaustion of the uterine muscle, it will give midwives and obstetricians a clearer understanding of the how to help women to achieve a better birth outcome for themselves and their babies. The research promises to be internationally significant, placing Australia at the forefront of applying recent advances in physiological research into lactate to the clinical setting.